Event planning involves putting strategies in place so that you can be in a position to execute things properly for a successful corporate event. Corporate event can be for the purpose of brand promotion, product launch or business meeting. These are special events that have to be organized properly so that things can fall in place on the d-day. As an event planner, you must have versatile skills to pull the event successfully. 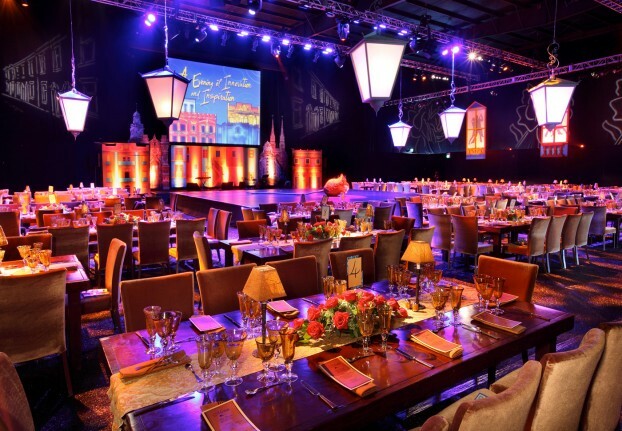 Discussed below are ten things to keep in mind when doing corporate event planning. To make an event successful whether personal or corporate, you must have a comprehensive understanding of each and every aspect of that particular event. Before you start planning for the corporate event, it is therefore important that you have a clear and complete understanding of what needs to be done. It is recommended that you coordinate the event with individuals who have previously planned for such kinds of events or get advice and direction from them. When you are planning for a corporate event, you have to keep the budget in mind because is it a very important aspect of the event planning process. The budget should specific with inclusion of all expenses such as location, security, supplies, food, printing and any other expense that will be incurred to make an event success. It should also include revenues such as sale of tickets and/or sponsorship. Before settling on the date of the event, you need to have possible dates in mind. This is because sometimes the guest speaker for the event might not be available on that particular date or the location of your choice might not be available on the said date and you will be required to adjust the dates accordingly. When fixing the date of the event, it is important that you put the intended audience in focus so that you do not set a date when a majority of the target audience will be engaged in other activities. The venue of the corporate event is very crucial for the success of the event. When settling on the venue, you should factor the well-being of the speakers as well as the attendees. The venue should be easily accessible, have adequate parking lot, having good security and other essential amenities. It should also be spacious to accommodate all the attendees. When planning for a corporate event, you have to factor in the agenda of the event. This will help you when making the choice of speakers for the event. It is advisable that you choose well-known speakers for the event to attract many individuals to the event. Famous speakers always have a way of gaining attention and attracting more attendees. A good event planner defines the potential attendees and guest list to target the marketing as well as promotion efforts to the target audience. You need to put strategies in place so as to attract as many attendees as possible to the event. In the contemporary world, you can employ social media networks and other online platforms to promote the event. Remember, publicity is very crucial for the success of the event. Registration to the corporate event is usually the main revenue for the event. Attendee registration and payment handling is of paramount importance and it is recommended that you look for a professional to handle this. You should get customized registration forms for the event such that you can make use of those forms to collect data for marketing activities of your products and services after the event. In event planning, you have to be creative in order to achieve your goals. One of the ways you can increase the sale of tickets is by offering discounts at an early stage. For instance, you can give early bird tickets to attract price sensitive attendees or give loyalty discount for those who attended earlier events you had organized. Another way you can attract many attendees to your corporate event is by giving incentives to firms so that they can send multiple individuals to the event. It is worth mentioning that you should include discounts in your budget so that you will know that the amount that will be collected at the end of the day will be able to cater for all the expenditures. Ensure that you order attendee badges in time as well as any other thing that is needed for the event. You should come up with a checklist of all the things that are needed in the event so that you do not forget anything. It is of great importance to test things especially technical equipment before the event commences to ensure that all is well. If you are expecting a large number of people for the event, you should ensure that entry management is well organized and efficient. Rose Thomas Jonathan is a professional event planner and a blogger. She works with event rentals Toronto and has gained extensive knowledge in event planning and management. She also writes reviews on a weekly basis on various event planning and management sites. Previous story How Will Your Wedding Be Remembered? By The Photography Or The Memories?